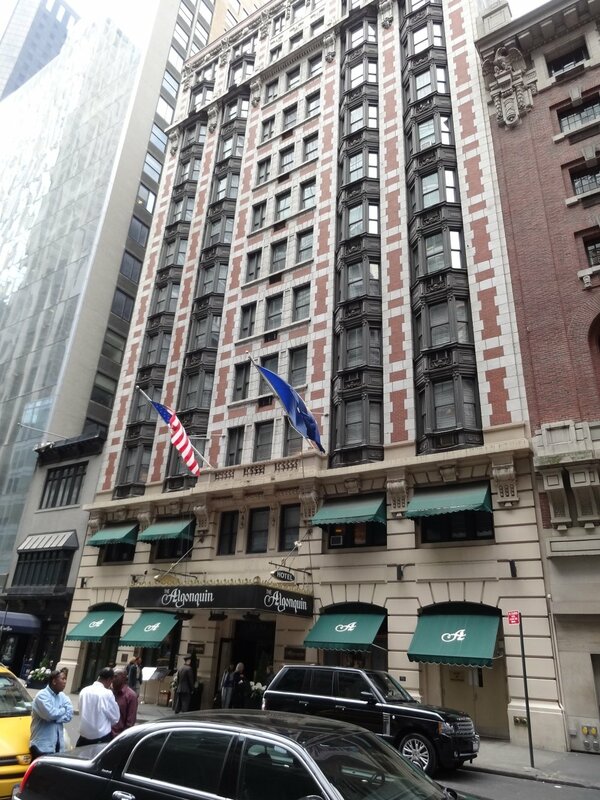 Located on W 44th St. between Fifth and Sixth Avenues, The Algonquin Hotel is a very fine piece of architecture from the beginning of the twentieth century. The twelve-storey building is five bays wide, with a lightly rusticated two-storey limestone base. Above it are 8 stories of brick with terra cotta trim below a projecting cornice. Two stories at the top work together to function as an attic. The ten top stories have three sash windows in the center flanked by a pair of projecting bays on each side, except for the twelfth storey where the bays are replaced with simple sash windows. But it’s the building’s social history that distinguished it from its contemporaries. 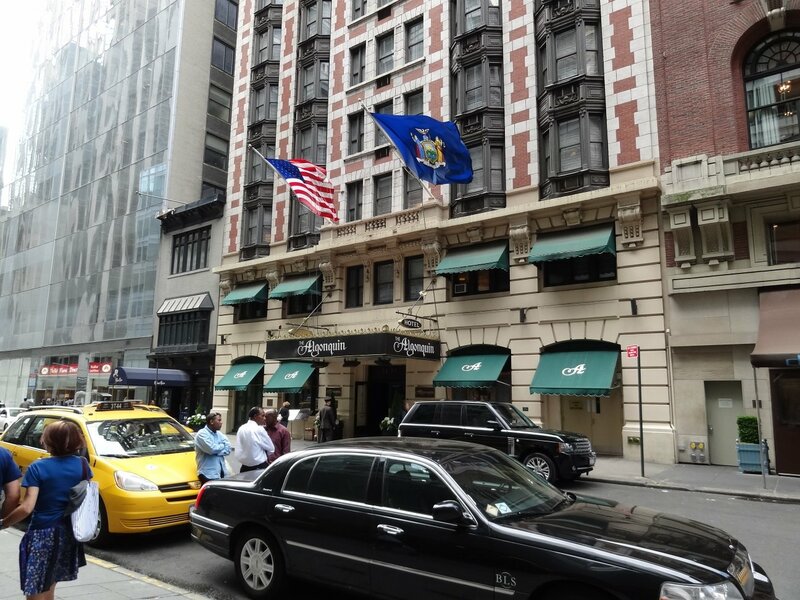 Since its opening in 1902, the Algonquin has been associated with New York’s literary and theatrical worlds. The hotel was host to such notables as Sinclair Lewis, Douglas Fairbanks, Orson Welles, and dozens of other artists. After WW I, as home to the Round Table (a daily luncheon gathering of some of the city’s brightest wits) its fame became national. In 2008, $4,5 million interior renovation of the hotel was completed, including all of the guest rooms, the lobby, Blue Bar, and Round Table Room.